Everyone loves ice cream right? Well I made you some healthy cookie dough ice cream! The best part? This healthy ice cream needs no ice cream maker. It only takes a few minutes to whip up too! If you love ice cream, you may also like my cherry chocolate chip ice cream or my strawberry ice cream. This healthy banana ice cream recipe is very easy to make. All you need is a blender or a food processor. It tastes so rich and decadent, but it’s dairy free and healthy! You have got to try this one. Who doesn’t like big chunks of cookie dough in their ice cream right? 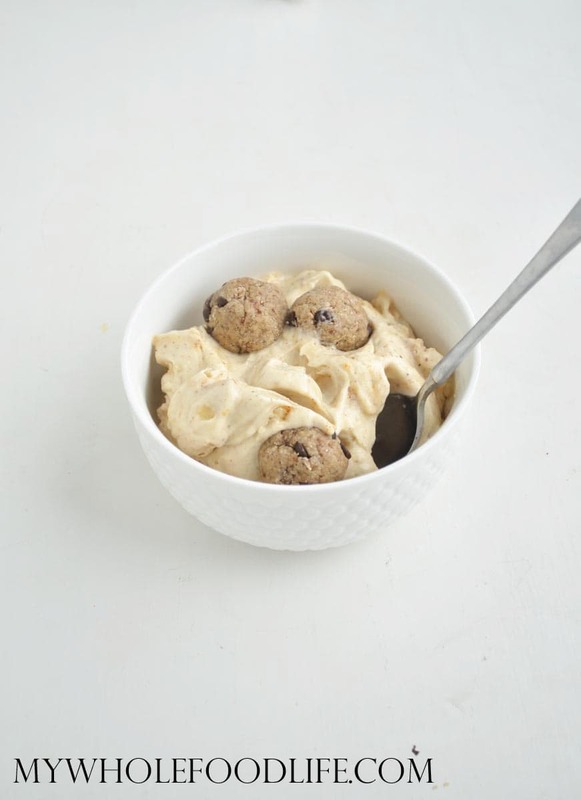 Cookie Dough Ice Cream that is healthy! 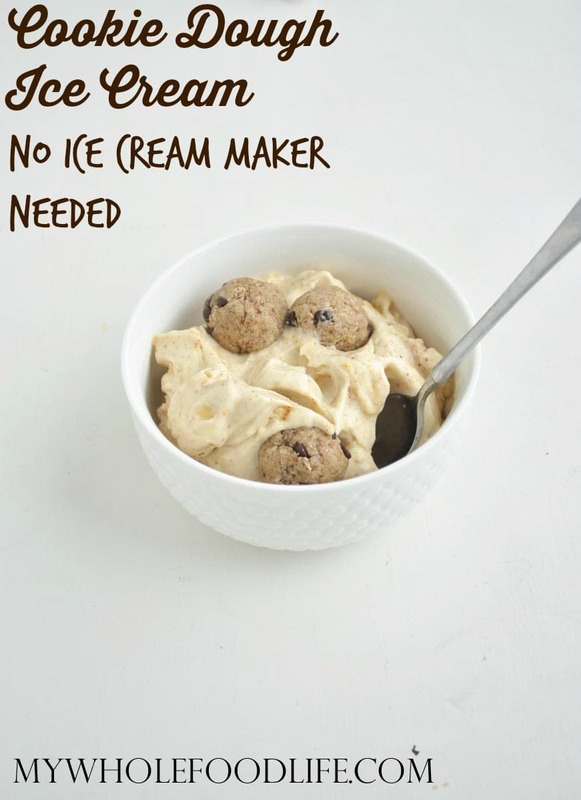 No ice cream maker needed to make this! Combine the bananas, nut butter and milk in a blender or food processor . Once it starts to look smooth, add in the cookie dough and blend until everything is mixed together well. If you want, you can save a couple cookie dough balls for garnish like I did. How cool that this works! Love this idea, and the cookie dough.... mmm my fave! Cookie Dough ice cream!!!!! Yummy!!!!! I don't care it's cold- I want ice cream now!!!! Yum! Can this be prepared ahead and stored in the freezer for later use? Is this like vegan Ice Cream??? Although am not sure of the cookie dough? I love cookie dough anything! this looks so good. i can't wait for it to get warm so that it is socially acceptable to be eating these kind of goodies! Thanks Beverley! I hope it warms up for you soon. It's already warming up here in Dallas! This treat is amazing!! It's my favorite little sin and even my teenage daughter loves it. Pingback: A Healthy Twist on National Ice Cream Day - Noom Inc. | Noom Inc.